The ranking is based on factors including affordability, flexibility and student success. The other schools in the top five include SUNY College of Environmental Science and Forestry, Humboldt State University, University of Vermont, and the University of California, Berkeley. 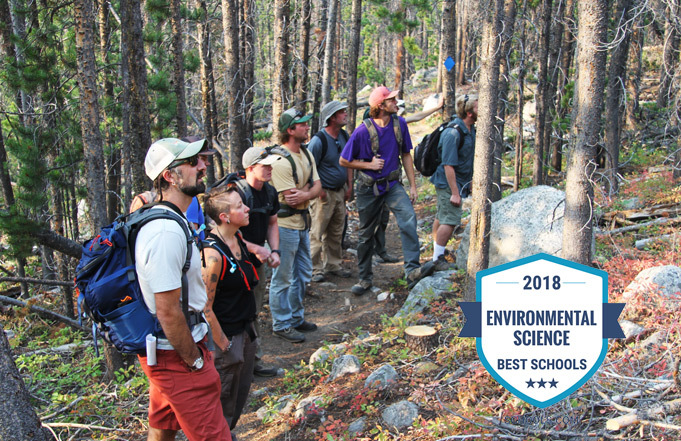 Montana Western’s Environmental Science degrees apply the University’s unique experiential learning model, called Experience One, where students take one course at a time for 18 days and then move on to the next course. Students at Montana Western enjoy a tight-knit community atmosphere and small class sizes where they work closely with peers and professors alike. The University offers multiple degree options for the education of the next generation of environmental scientists, educators, and leaders. Majors include Environmental Sciences and Environmental Interpretation with options in geology, environmental interpretation, wetlands management, and sustainable natural resource management. U.S. News & World Report has also bestowed The University of Montana Western, a public institution founded in 1893, with several impressive rankings in the Western region. The rankings include #8 in Best Regional Colleges, #4 in Top Public Schools, #5 in Best Value Schools, and #6 in Best Colleges for Veterans. Montana Western’s commitment to engagement and support offer an incredible experience for students while maintaining a high standard of academic excellence and low tuition costs. For more information about Experience One and the University of Montana Western, or to schedule a visit, go to www.umwestern.edu or call 877-683-7331.